This dialog is only shown if there is more than one calendar or resource element on the current page. 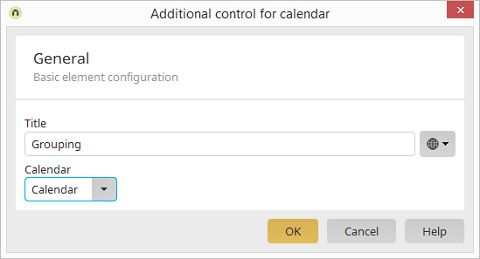 If the additional control Previous/Next is then added to the page, this dialog allows you to decide which calendar/resource element should be controlled by the element. Select the calendar or resource element that should be controlled here.